Chinese conglomerate Nanshan is buying 20 pct of Australia’s No. 2 carrier weeks after HNA took a 13 pct stake. Both pledge to prop up its balance sheet. The benefits for the buyers are vague. That puts them in the same camp as the foreign airlines that already back Virgin. 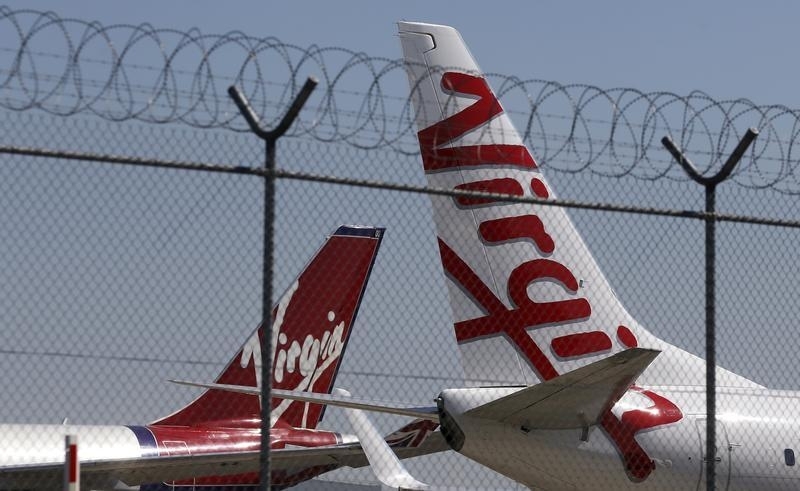 China’s Nanshan Group has bought a 19.98 percent stake in Virgin Australia from Air New Zealand, giving Chinese investors a near one-third stake in Australia’s second-largest airline. Air New Zealand said it had agreed to sell the stake to Nanshan at 33 Australian cents per share. The announcement comes less than two weeks after Virgin Australia announced plans to issue new shares to China’s HNA at 30 Australian cents in return for a 13 percent stake. It said HNA planned to increase its stake to 19.99 percent. Virgin Australia announced in March that it was reviewing its capital structure, and had secured an A$425 million loan from shareholders including Air New Zealand, Etihad, Singapore Airlines and Virgin Group. By early afternoon in Sydney, Virgin Australia shares were up 4 percent at 29 Australian cents.